It’s that time of year again—our annual Speexx Exchange conference, hosted by Laura Overton of Towards Maturity, is right around the corner! 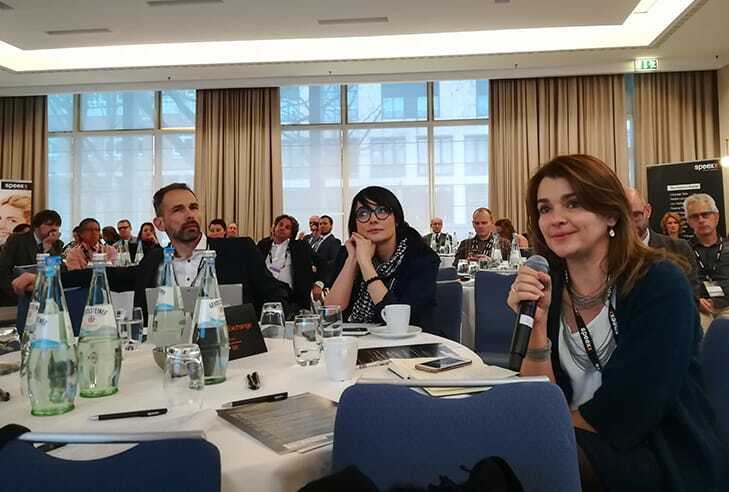 This leading industry event on talent management practices brings together learning and development (L&D) practitioners from around the world for a fulfilling day of networking, sharing and learning in Berlin. 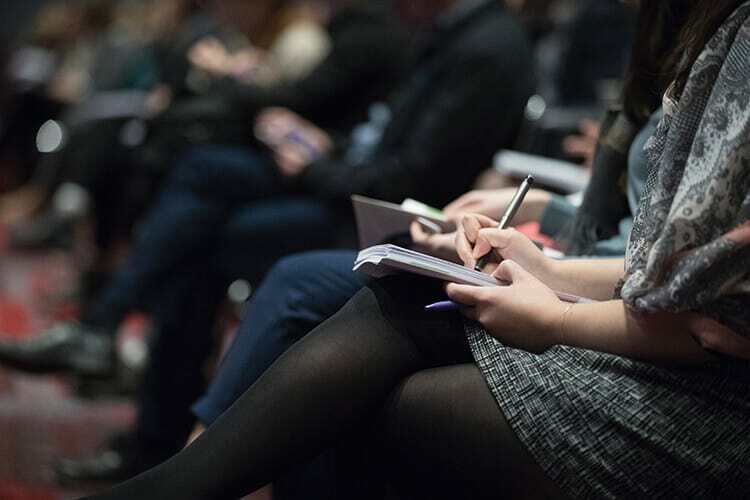 This year, we’ll be hearing various business case studies on the importance of digital transformation and cultures of learning- particularly how they relate to the trends, challenges and strategies we expect to see in L&D for 2019. Can’t wait until December? Read on for a special sneak peek—we’ve talked to Anca Iordache, Collaboration Practice Manager at Citi and Speexx Exchange speaker, to get her perspective on how L&D has changed in recent years, what the future of learning looks like, and what learning and development professionals need to do to keep up. Register for Speexx Exchange 2018 today! In your opinion, how has the L&D function developed and changed over the past few years? L&D is moving away from just the design and delivery of training programs and it is now more focused on creating partnerships across the organization to co-develop performance and culture solutions. There’s an ambition to transition from “order takers” to “value creators,” as defined by Charles Jennings & team of the 70:20:10 Institute. One of the ways in which our Citi Learning Advisors are making this transition is by practicing core attributes like: curiosity, empathy and courage. Curiosity gets us to widen our perspectives so we can understand the root cause of performance problems, or opportunities. Empathy helps us set aside our own ‘training’ assumptions in order to gain insight into our clients’ needs and learning behaviors, and design inclusive solutions. Courage is about being bold and determined to get out of the ‘taking orders’ cycle, try new things, collaborate more and experiment with new tools, techniques, and technologies. Another way in which the L&D function can create value is by encouraging people to take charge of their own Personal Knowledge Mastery and applying the Seek-Sense-Share framework of Harold Jarche. As more knowledge and content becomes open and accessible to all, and as we all face more complex situations and challenges, people need to develop their own capacity to find what they need when they need it (Seek). People also need to extract meaning from content and experiences they are exposed to, as well (Sense). And we all need to be able to help partners learn faster by uncovering and sharing knowledge, in meaningful contexts (Share). This is important work that we all need to create the space and tools for. The L&D function can help by reminding people how we learn, how we build networks, and by creating conditions for collaborative learning and working. As a function, we’re more dedicated to helping people continuously learn and adapt, as opposed to just doing the work. Success translates, as Future of Work Strategist Heather E. McGowan says, in ”increased capacity.” L&D’s role lies in creating the environments in which people can bring more of their strengths and interests to work, and keeping them interested in staying current with new technology advancements that can augment their human capabilities. In terms of learning tools and technologies, we’re moving from working with the typical Learning Management System (LMS)—where we simply store and track training, and where L&D ‘controls’ the learning —to Learning Experience Platforms, where people can self-manage their “3 Es” (Experiences, Exposure, Education), as we call it at Citi. People can create their own career and development pathways and share useful finds with others. Leaders form communities of learning and innovation, and collective engagement replaces evaluation forms. Learning is now everyone’s business, not just something L&D controls (very much consistent with the Transformation Curve that Laura Overton and the Towards Maturity team maps out in the 2018 Benchmark report). How has Digital Transformation impacted L&D at Citi? Our role as L&D has expanded from design and deliver, to helping shape a culture that is conductive to broad and constant learning, radical change and fundamental innovation. This required our function to review and reshape our own operating model, roles, responsibilities and interaction models with partners and stakeholders. It also asked us to look at ways in which we upskill ourselves and our L&D strategies. One significant impact that I experienced at Citi is the way we approach design – from working within our own centers of excellence, to leveraging design thinking approaches, collaborating across teams, co-creating with clients and vendors, and coming up with simple prototypes and experiments along the way, all while constantly iterating to refine user experience. We are currently looking into running Hackathons, traditionally used for solving technology design, as a new way of engaging end-users in designing learning programs and experiences. At micro level, our people increasingly ask for access to content on-the-go, which is also bite-sized and available on various mediums and in multiple languages. This need drives our work in the digital learning space, where we look to translate and design content that is responsive to mobile user needs. The digital transformation also asks for new sets of skills and mindsets. At Citi, we’re preparing our HR function and our people-managers to read and make sense of human capital data and create strategies for more inclusive, collaborative and engaging environments for our people to thrive in. How important is it to foster a culture of learning within an organization? How do you do this at Citi? The learning organization at Citi is similarly defined. ‘We work hard to advance a culture in which people can thrive and contribute to the future success of Citi. People thrive if they are engaged, have opportunities to progress, and have the mindset and capabilities for a rapidly changing world.’ How do we do it? • Get it: Expand mindsets and develop capabilities to ensure teams are equipped to perform in an evolving workforce. • Spot it: Create opportunities for progression, identify those with potential and develop talent for now and in the future. • Spread it: Encourage an inclusive, diverse, gender-balanced environment and share messages that help people feel engaged, supported and connected. What are the biggest challenges L&D currently faces, and how do you see the industry overcoming them? We, as L&D professionals, are being called to support organizations as change agents and consultants in times of continuous transformation. We are being asked to actively shape cultures and adapt mindsets in the workforce for continuous learning in the workplace- this is the way to the future of learning. This opportunity requires us to quickly adapt what we do and how we do it. Alongside upskilling ourselves, letting go of controlling learning and moving into shared learning responsibility (where we act as connectors and amplifiers of knowledge and good practices), we also need to reinvent our brand as a learning organization. Here, I see the Communications/Marketing function as a critical partner. They can not only help us change the narrative on what we do, but also help us get smarter about how we capture attention, how we go about engaging the hearts and minds of our people, and help us make our messages simpler, stronger, and more memorable. Another big challenge we’re faced with is that, usually, our HR and learning technologies don’t work- they fail to deliver on the promises they make or they simply come in too late. In the fast paced, technology enabled world we live in, there is a critical need to invest in solid, fit-for-purpose technologies. Gaining better budget and implementation support, or attracting tech talent into a learning organization, could help us stay on top of our game. One more challenge I would mention is the tendency to work within our own silos. Talent, diversity, performance and learning must work together and advise on integrated solutions. Collaboration is essential and it requires us to practice those key attributes: curiosity, empathy and courage. To discover more about the future of learning and L&D from Anca and other industry experts, register now for Speexx Exchange Berlin 2018. The conference will be held Wednesday, December 5 from 9 am to 5:30 pm at the Hotel InterContinental Berlin. 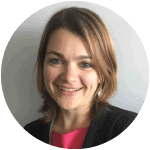 Anca Iordache is the Collaboration Practice Manager at Citi EMEA Region. In her everyday work, Anca helps employees and teams across the organization become more effective at how they learn and perform. She creates value by enabling better conversations and collaboration at all levels of the organization. Anca has been with Citi for almost 15 years, and together with her team, she strives to develop a culture of workplace learning at Citi, with social and digital at its heart.